Model Year 2014 Mid-Engine and 911 models are eligible to have up to nine (9) of your remaining lease payments waived. Model Year 2014 Cayenne and Panamera models are eligible to have up to twelve (12) of your remaining lease payments waived. 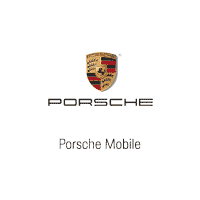 Model Year 2015 Mid-Engine and 911 models are eligible to have up to nine (9) of your remaining lease payments waived. Model Year 2015 Cayenne, Panamera, and Macan models are eligible to have up to twelve (12) of your remaining lease payments waived. Model Year 2016 Mid-Engine, 911, Cayenne, Panamera, and Macan models are eligible to have up to twelve (12) of your remaining lease payments waived. Lease or Finance a New 2017/2018 911, Panamera, 718 Boxster, 718 Cayman, and Cayenne vehicles through Porsche Financial Services and you are eligible to receive a “Welcome to Porsche” credit. The amount of your credit is equal to your existing competitive lease payment not to exceed $1,500. A maximum of three (3) payments can be credited to you not to exceed $4,500 in total. *Existing competitive lease must mature within 180 days of your new Porsche lease contract date or proof that the competitive lease payoff must be remitted by Porsche dealer. Please note, it is not necessary to trade your existing lease to take advantage of this reward.